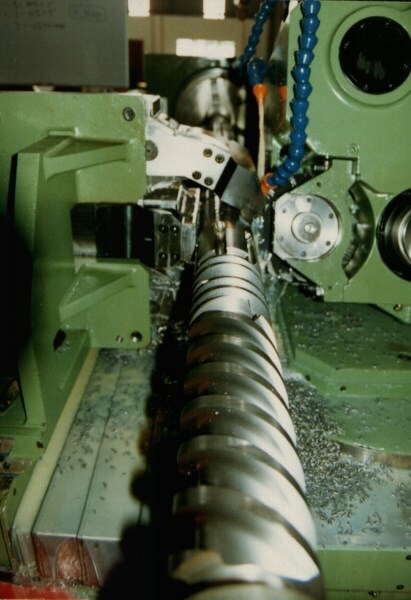 Thread milling and whirling machines for screw manufacturing which we manufacturing since 1970 in mechanical versions and from 1985 with CNC. 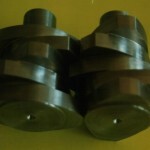 These screws are for plasticizing machines, pumps and conveyors. 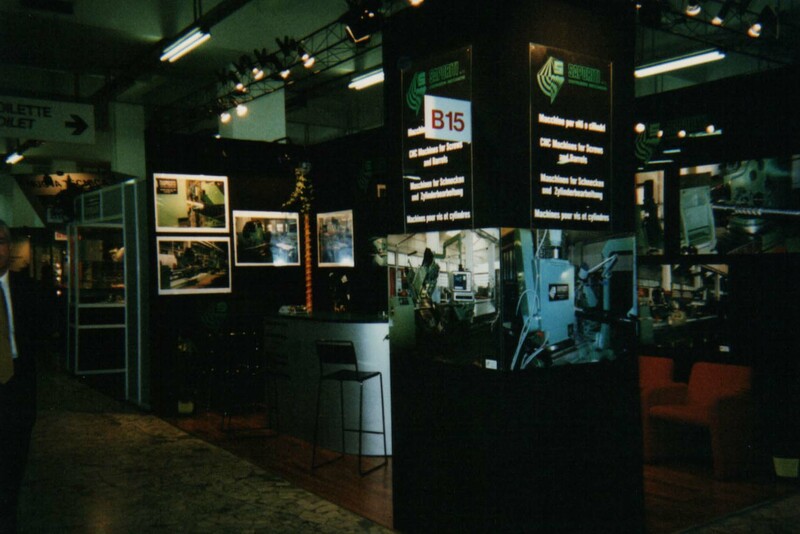 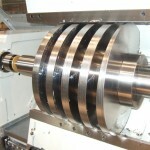 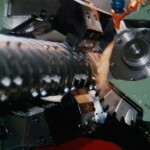 We have models with end mills, disc cutters and whirling units. 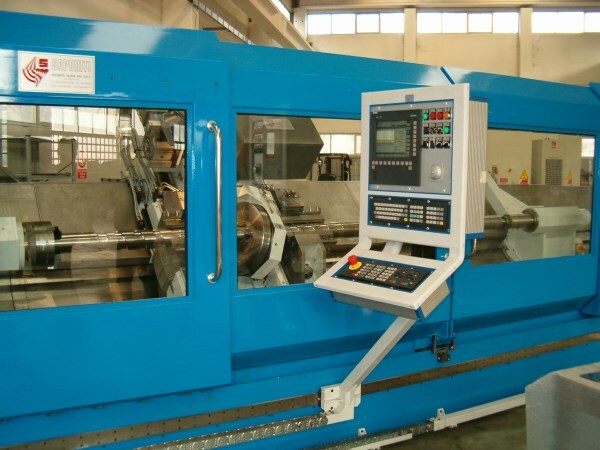 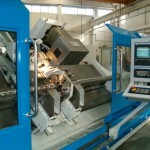 Machine length can reach the 9000 mm and the working diameter arrive at 350 mm and more. 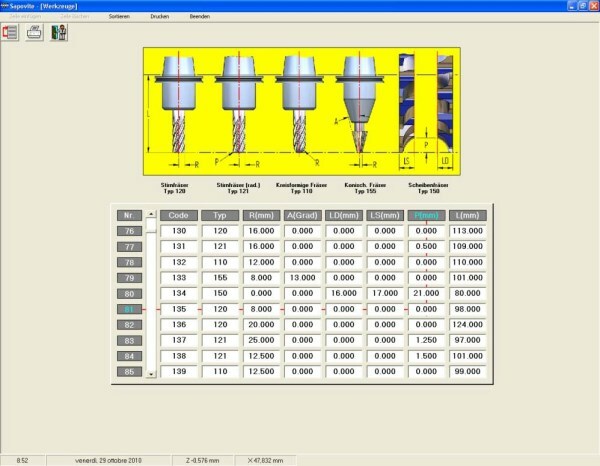 We have our own screw software to assist the customers for the easier screws programming on Siemens CNC. 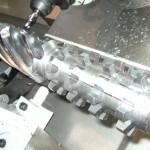 This software is suitable for end mills and disc cutters. 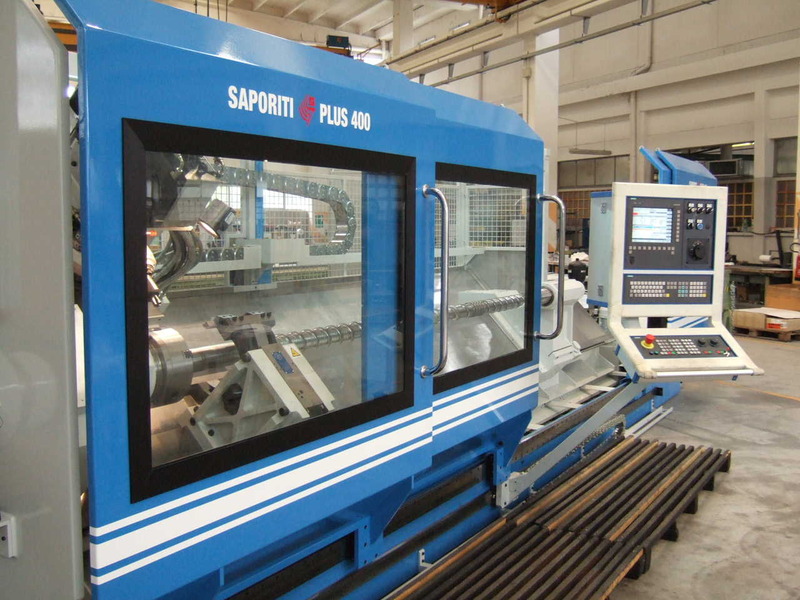 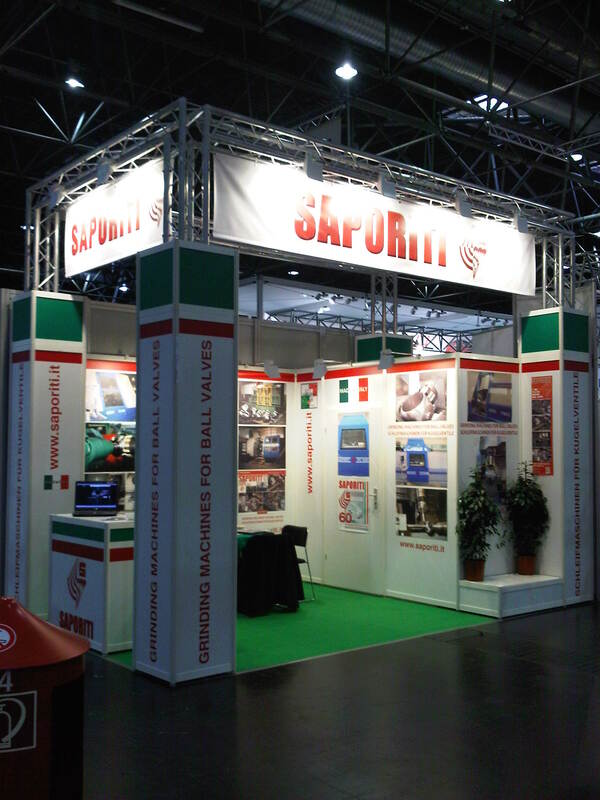 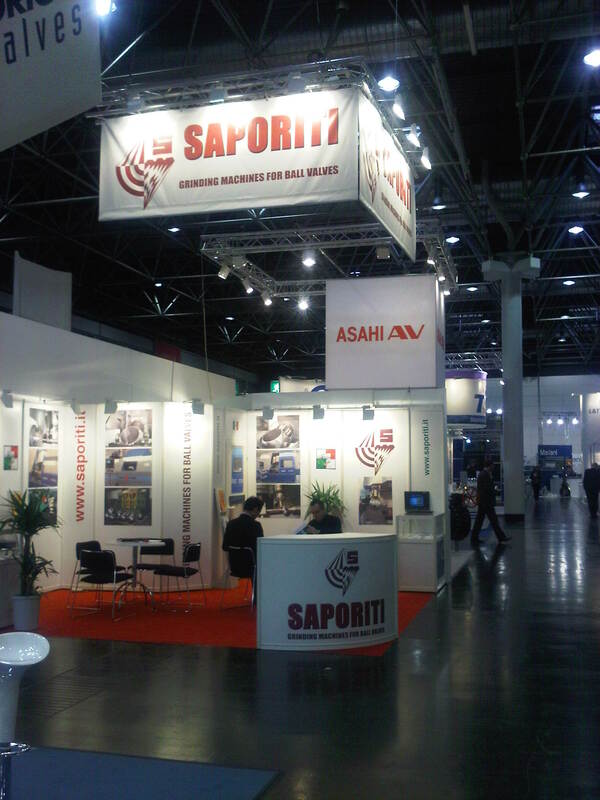 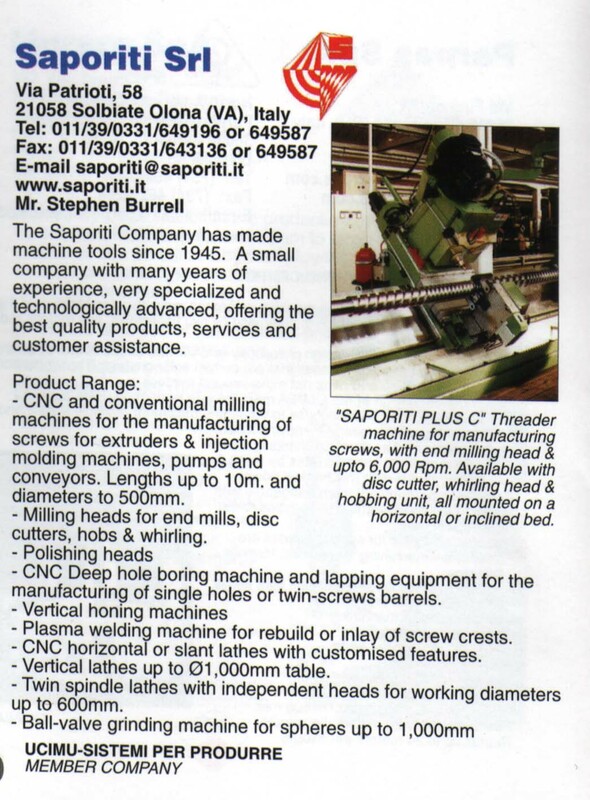 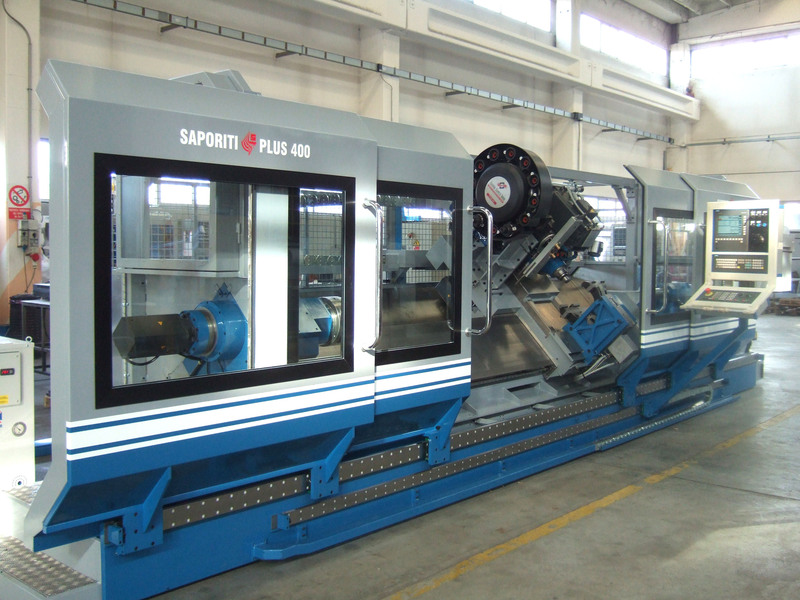 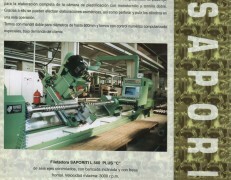 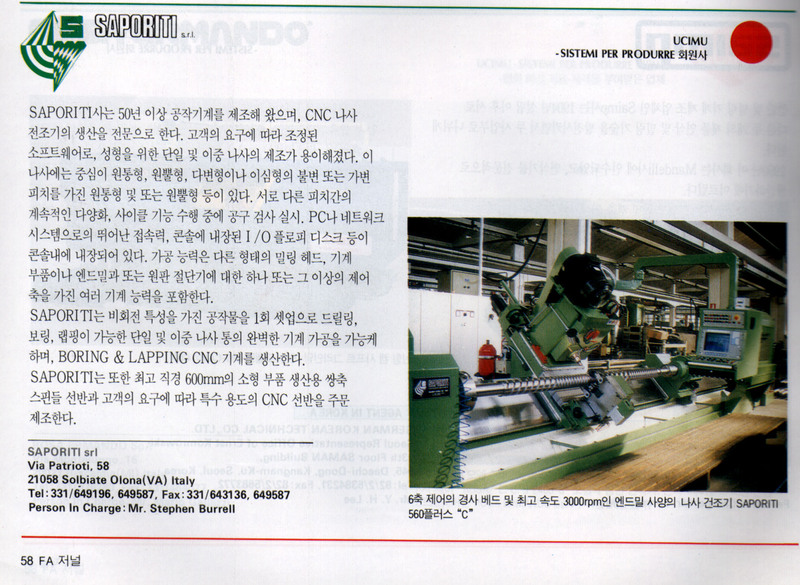 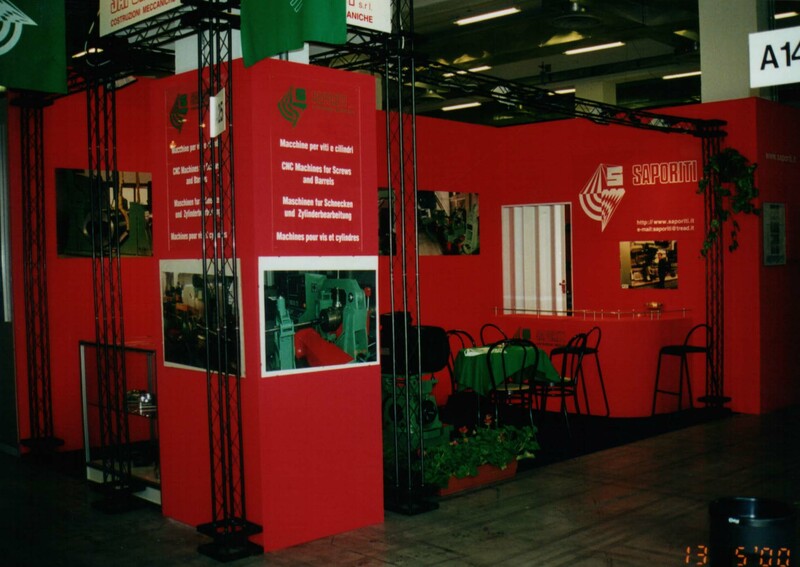 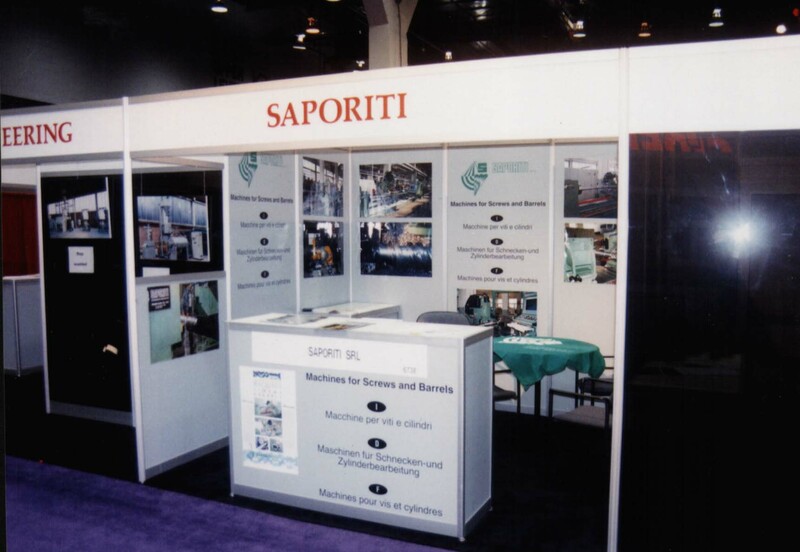 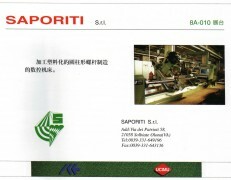 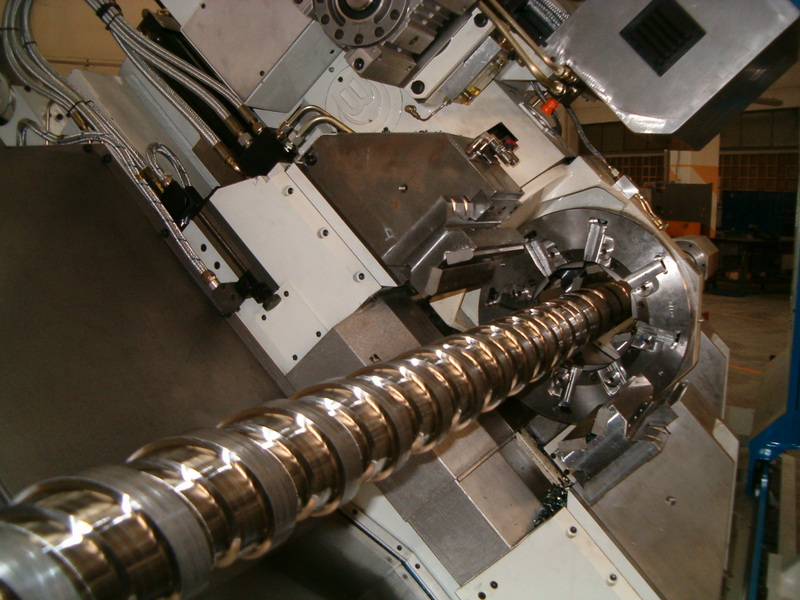 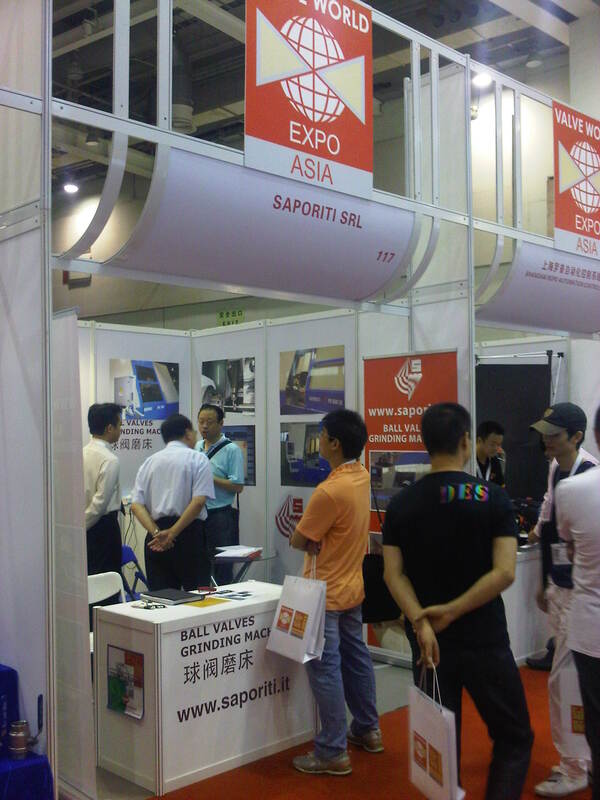 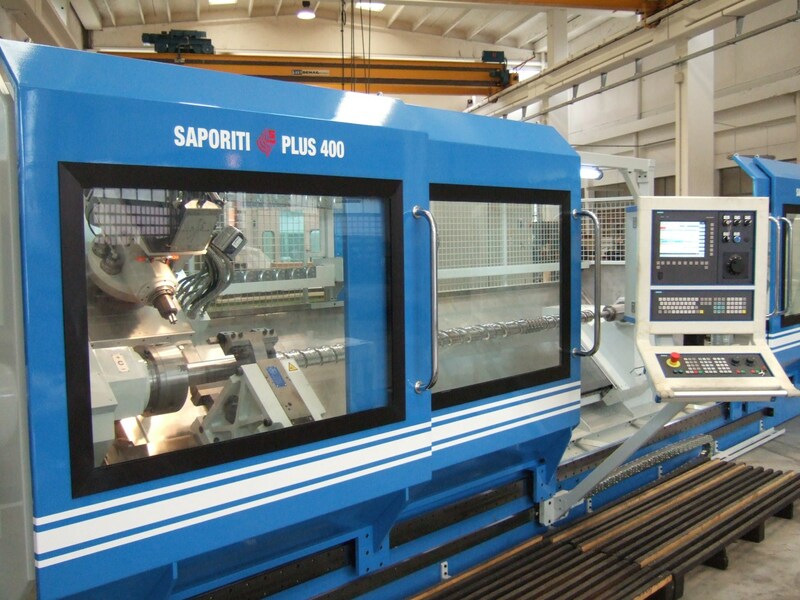 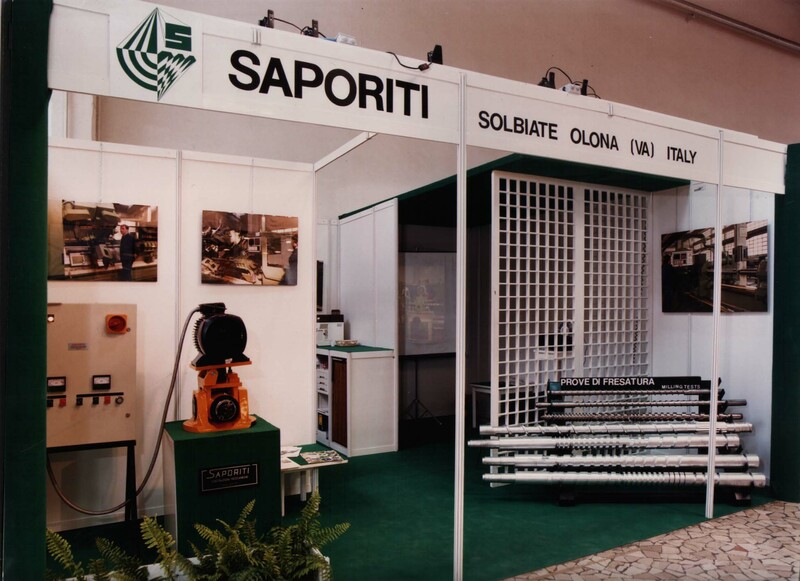 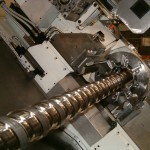 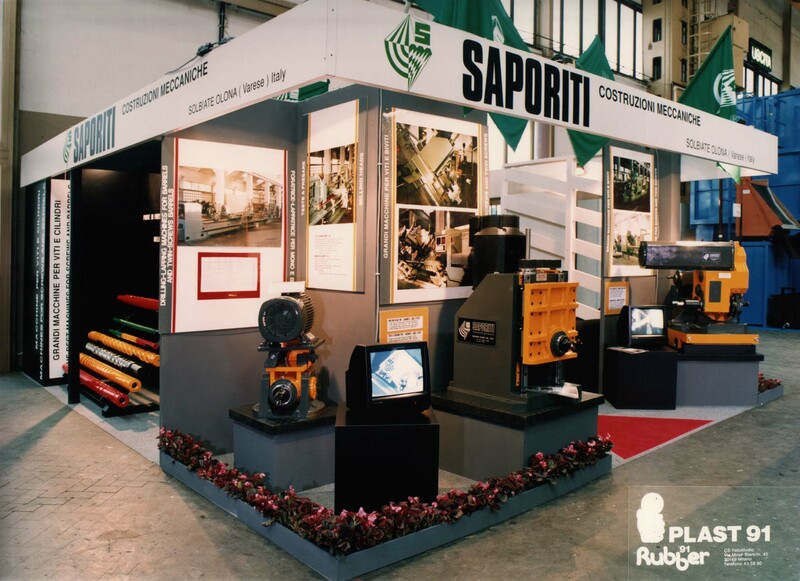 SAPORITI srl is specialized in the manufacture of threader machines for screws. 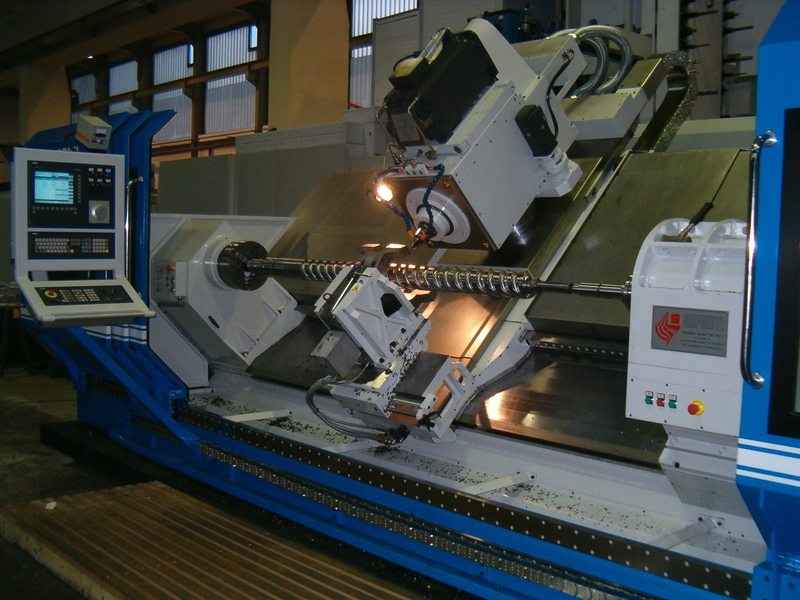 The new version of PLUS 400 is a threader machine for screws up to 8000 mm length and 240 mm diameter at a very interesting price. 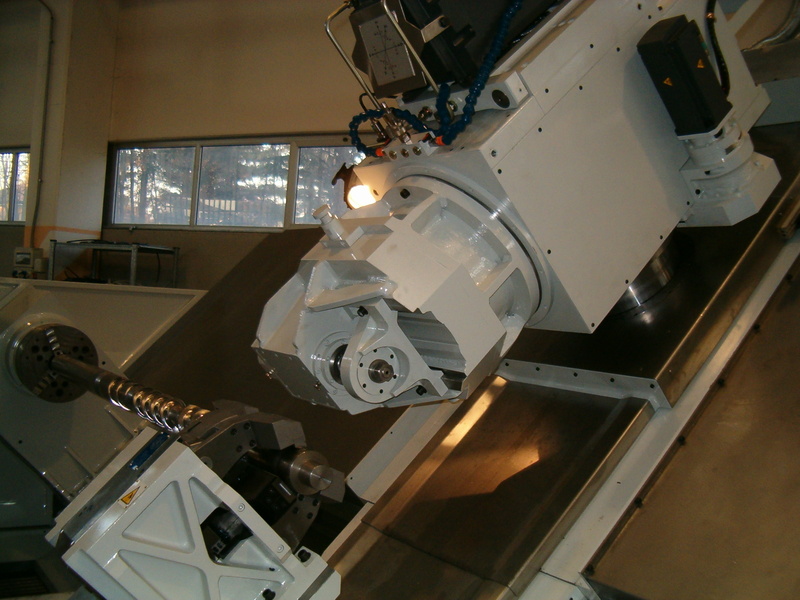 The machine can be equipped with a ISO 50 or HSK 100 spindle for rapid face cutter change and with a 12-position tool changer. 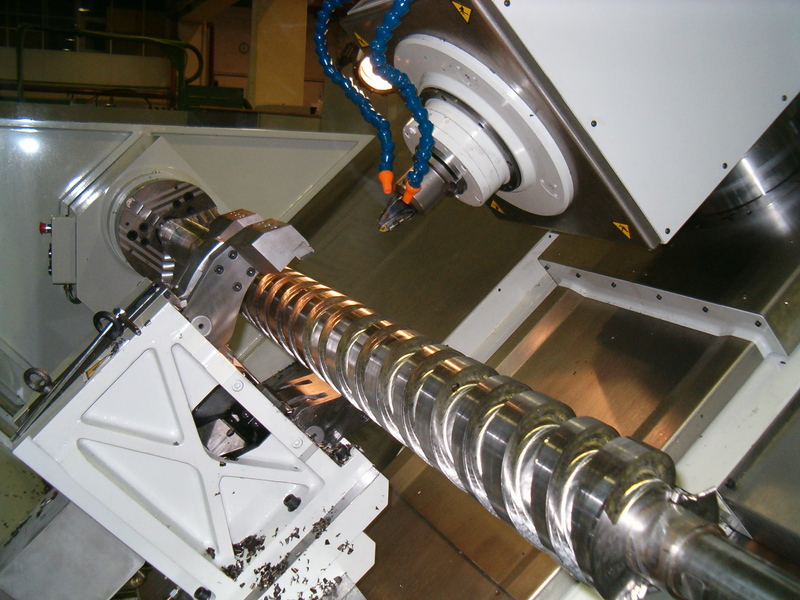 Maximum spindle speed: 5000 rpm, cutter motor power: kW 22. 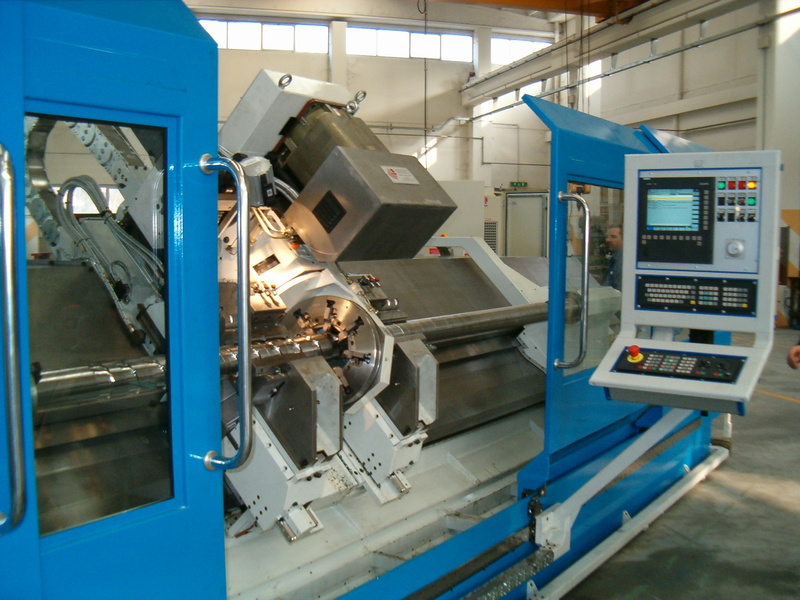 One of the most interesting available optional equipment are the cutters with internal cooling system and the steady rest position control. 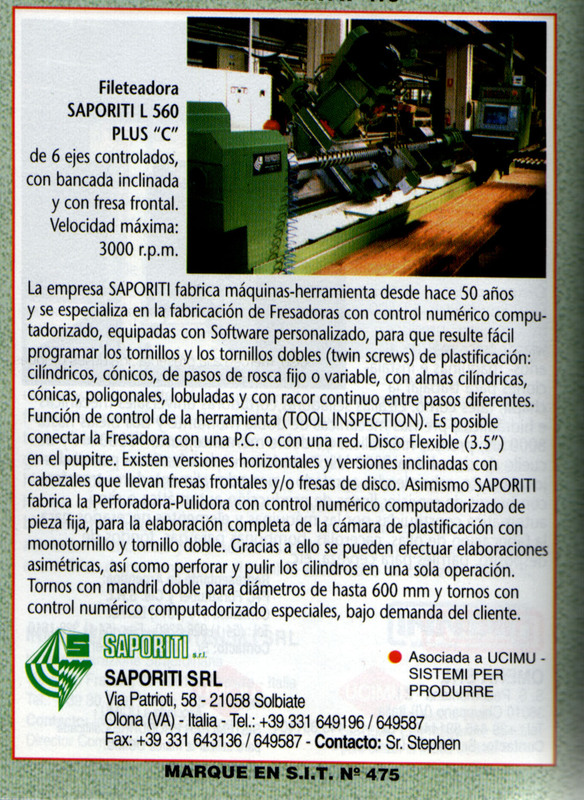 A special software designed by Saporiti allows the operator to easily program even very complicated screws and twin screws for mixers or variable pitches. 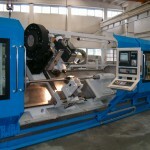 CNC threader machine suitable to work medium large screws and twin screws for extruder and injection molders. 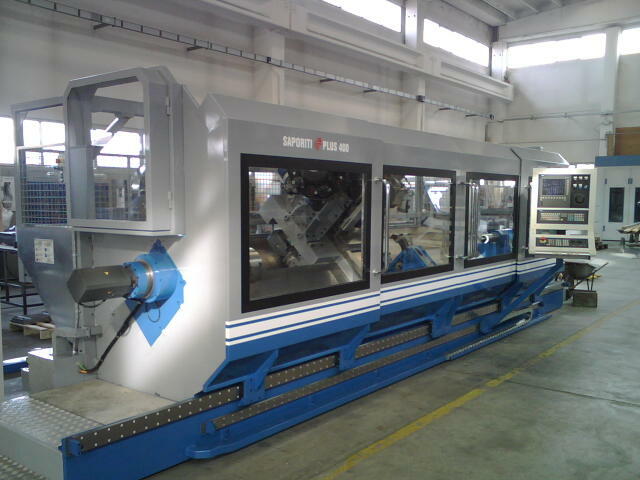 This model can be manufactured with a max working length of 8000 mm. 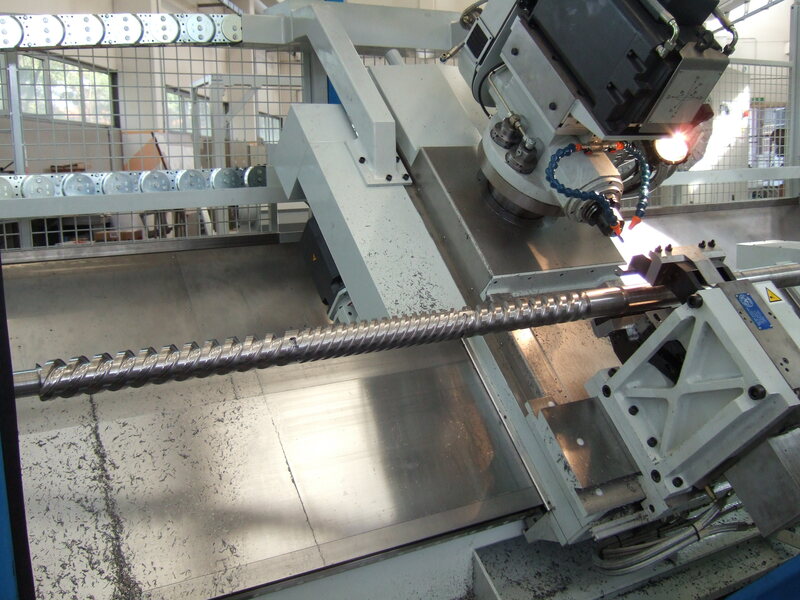 The max workable screws diameter is 350 mm. 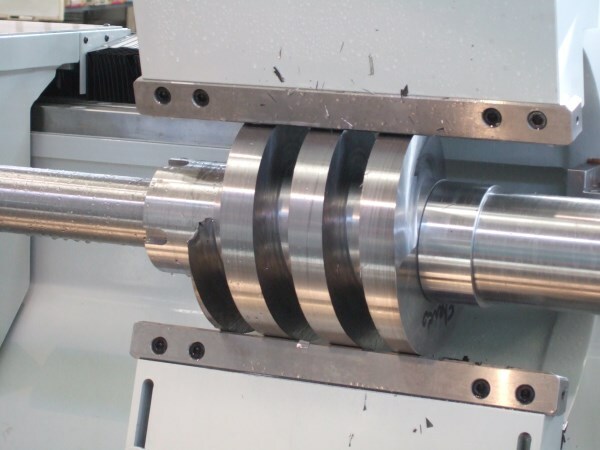 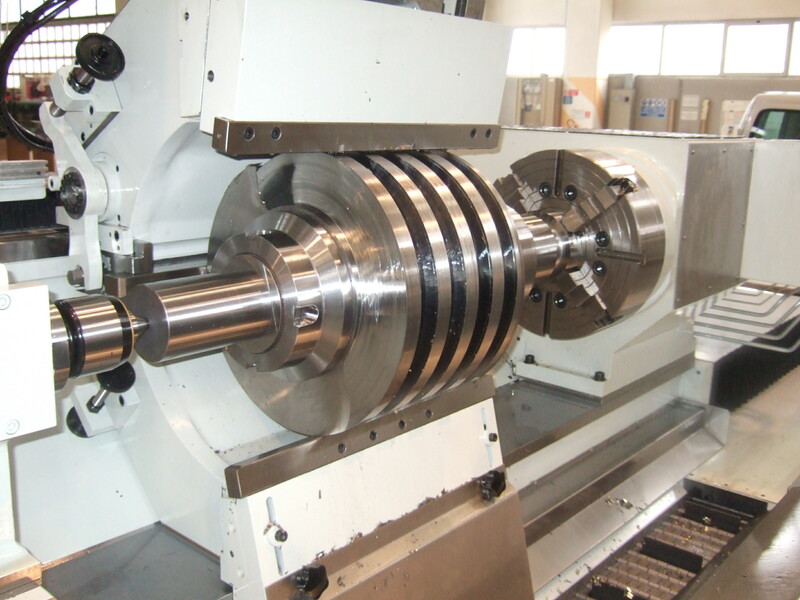 The possibility to have a special tailstock allow the working of longer workpieces. 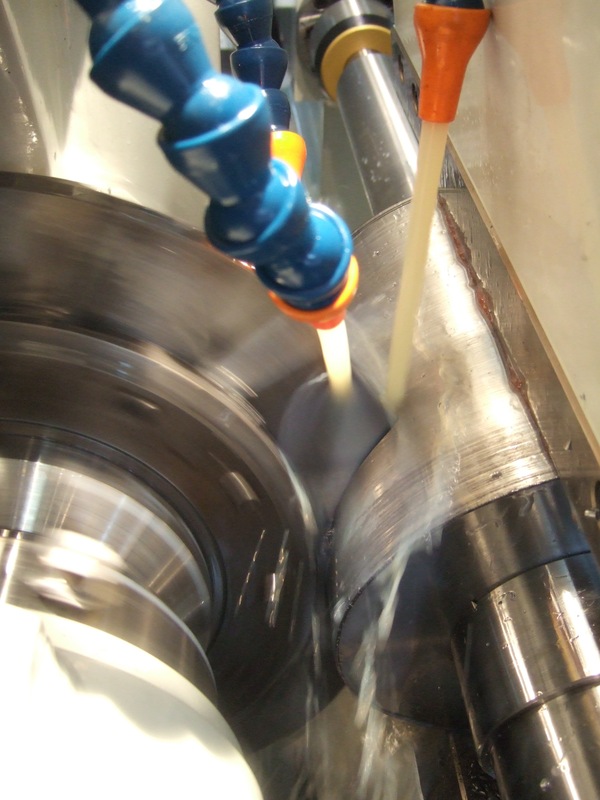 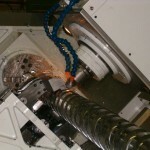 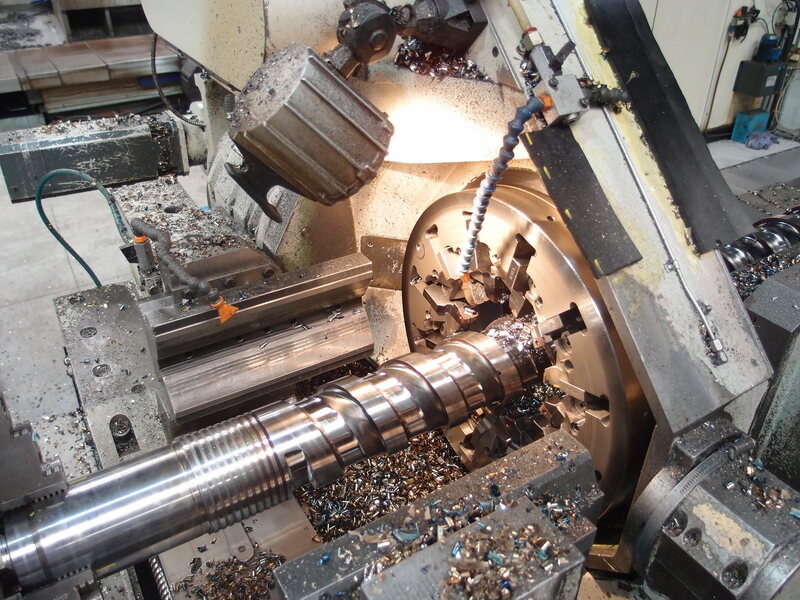 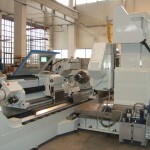 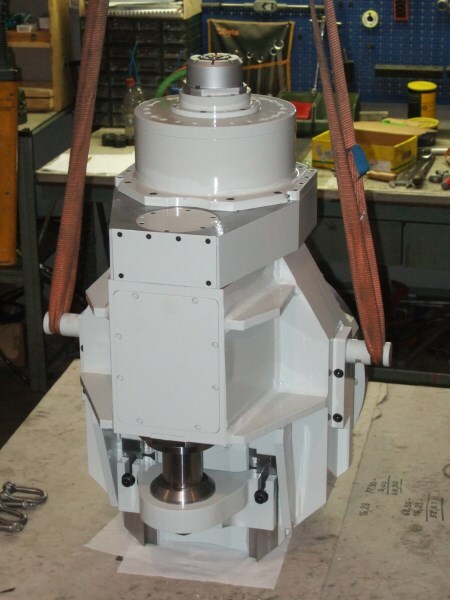 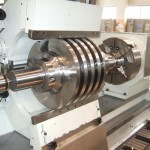 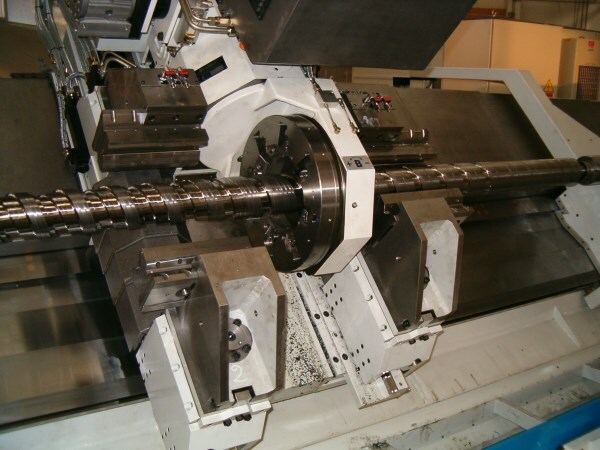 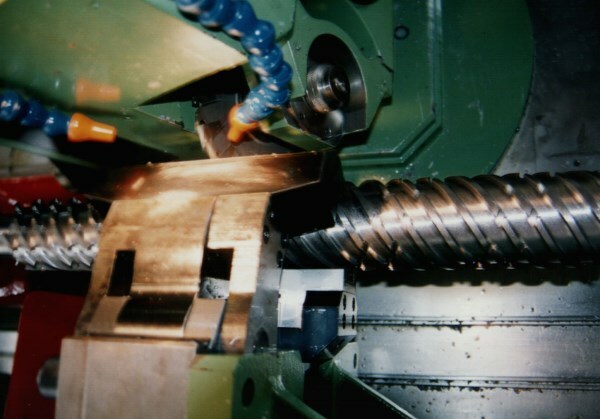 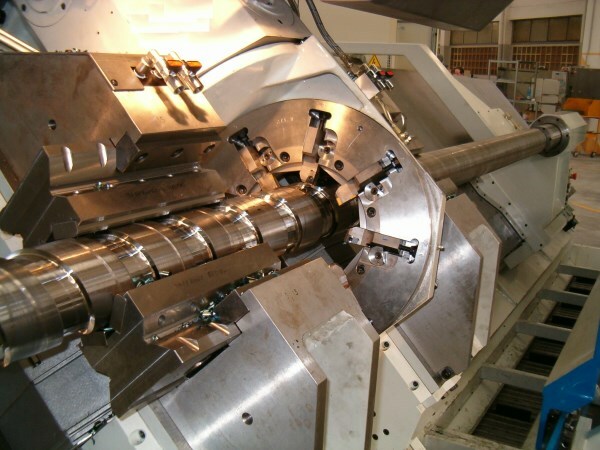 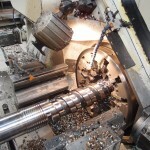 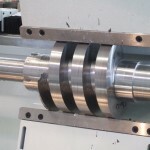 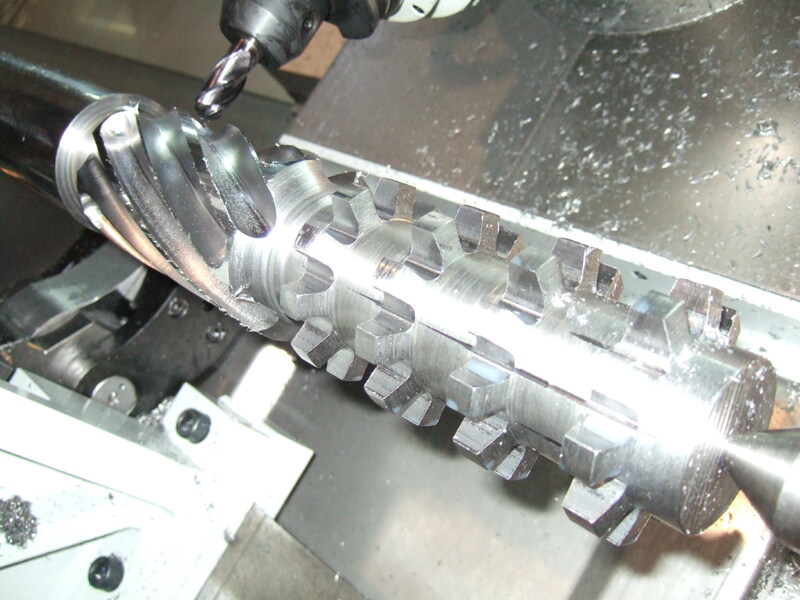 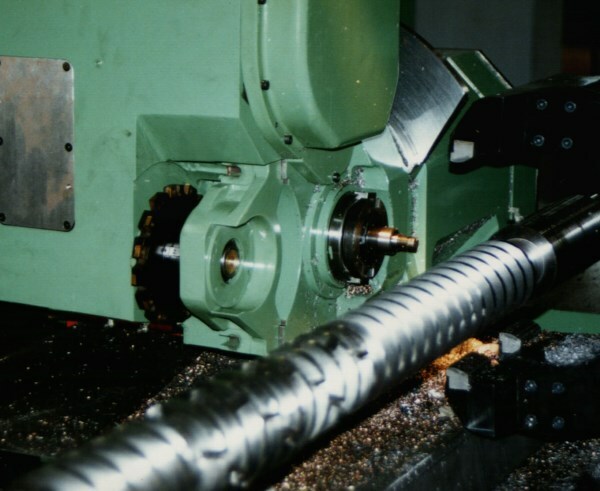 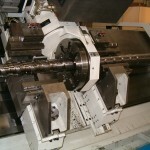 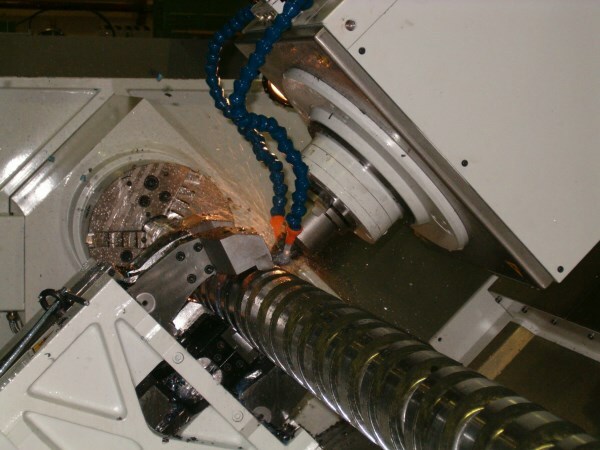 This machine has standard milling head with ISO 50 hydraulic clamping for end mills. 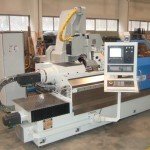 Available optional : auxiliary head for disc cutters, tool changer. 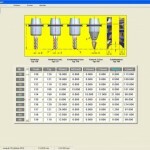 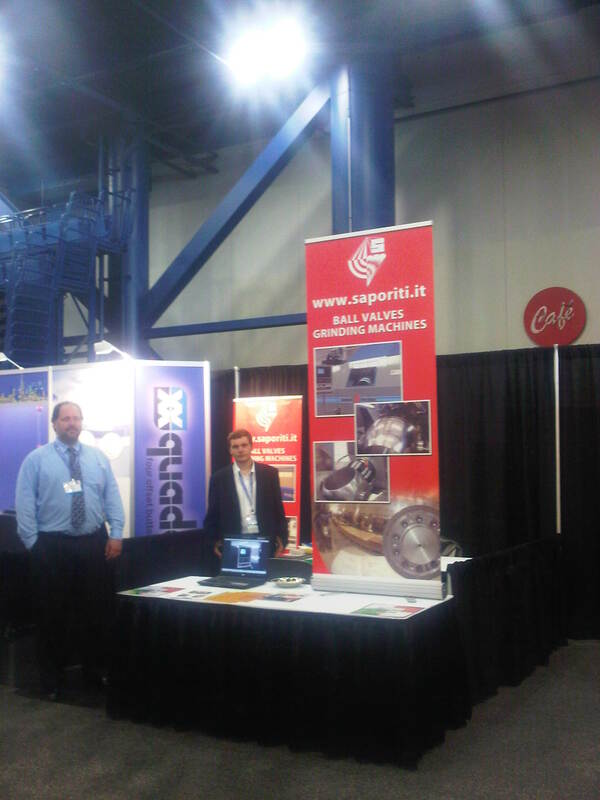 SAPOVITE software can be use for the easier programming of screws. 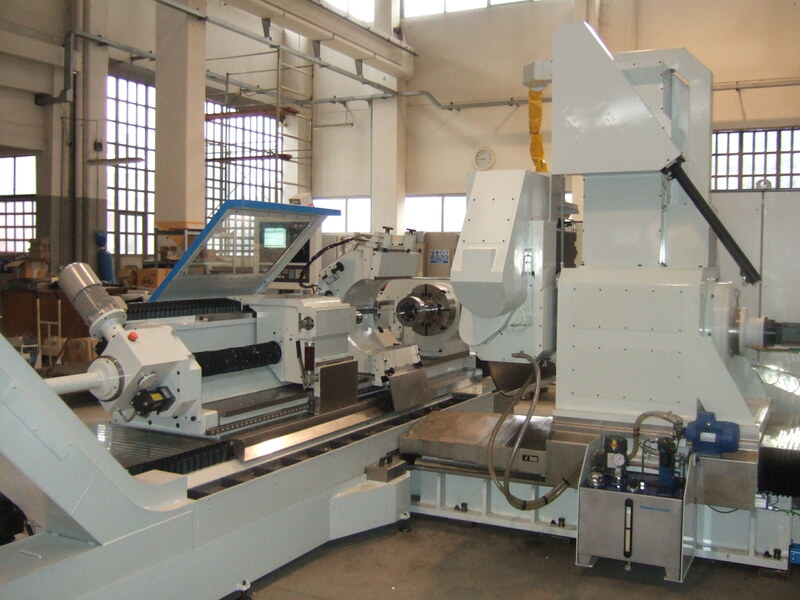 These thread milling machines have disc cutter head and are suitable for the working of screws with cams or lobes or screws for liquid pumps. 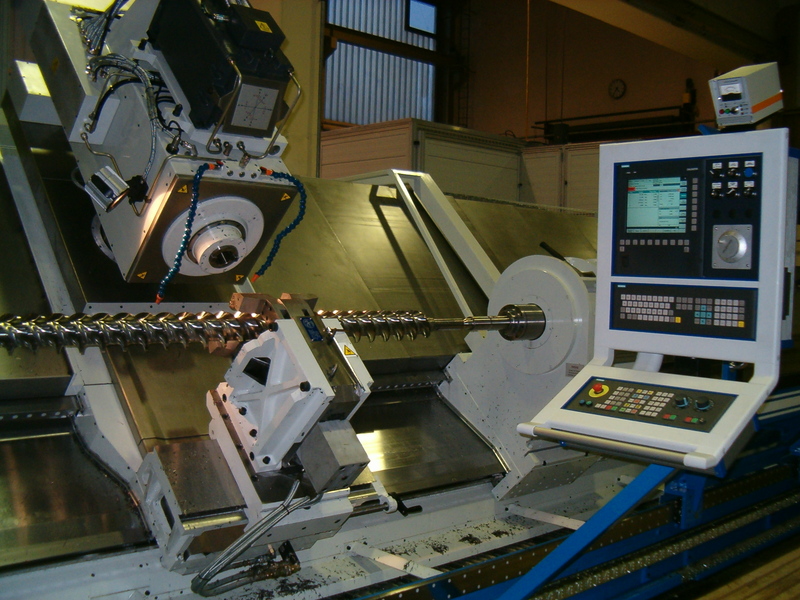 The machines is manufacture following the customers need and can be in different sizes up to work screws with diameters up to 350 mm and 9000 mm length. 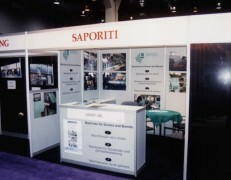 The bed can be inclined or slanted. 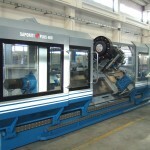 The disc cutter max diameter is 200 mm. 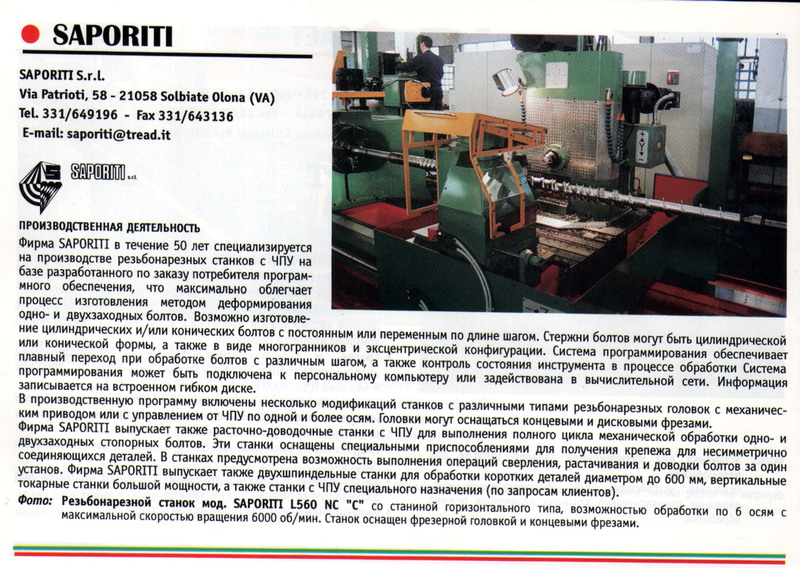 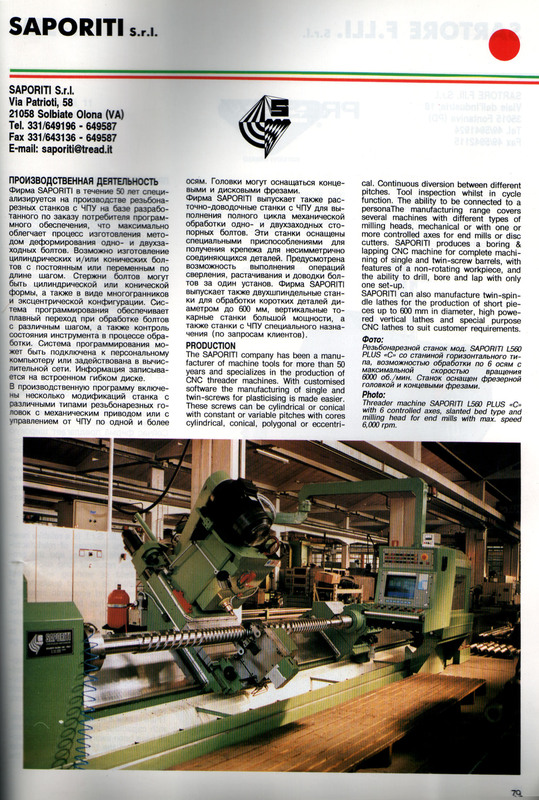 The milling head has Patented Device by Saporiti to reduce the disc cutter chattering. 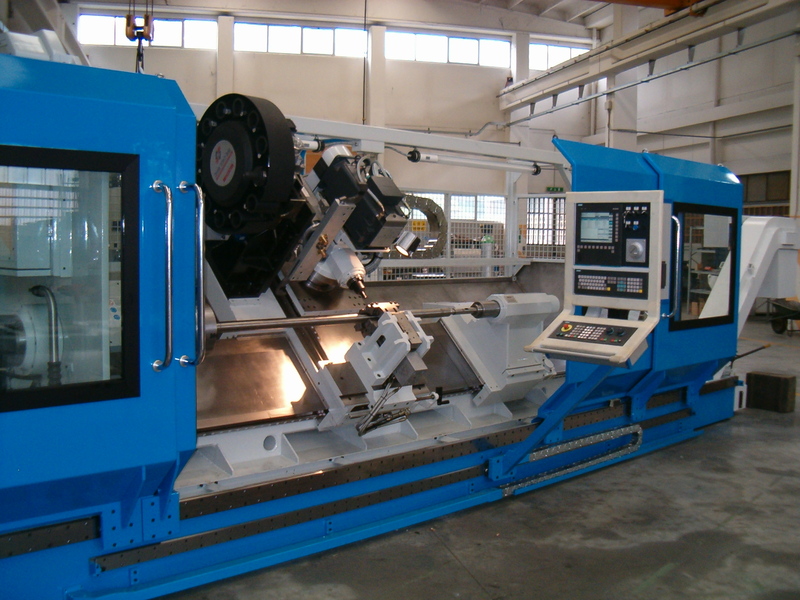 Strong hydraulic rest are supporting the workpieces. 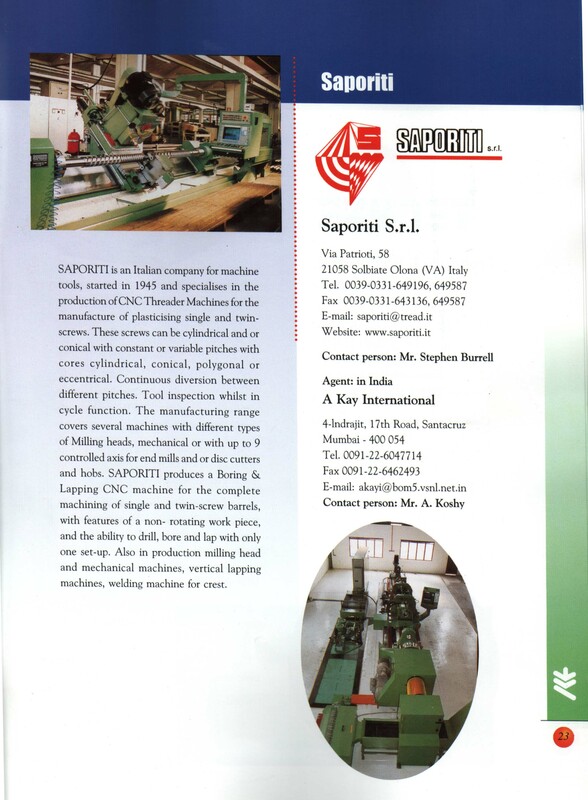 SAPORITI SAR 500 is a threading machine for pump and compressor screws with surprising features. 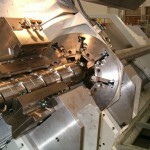 5 CNC-controlled axes: two linear axes, one rotary axis, two spindle axes. 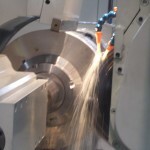 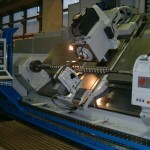 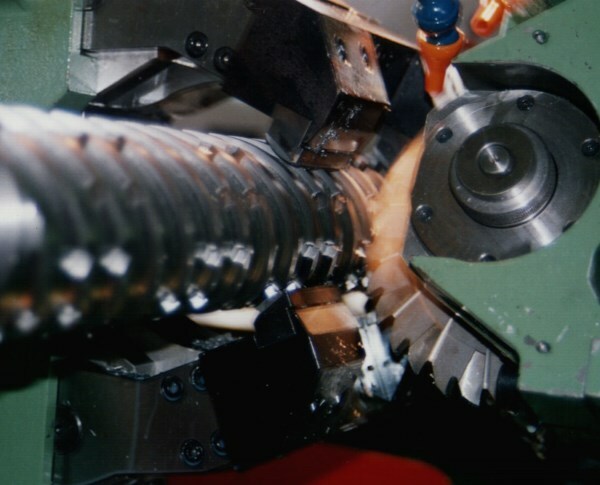 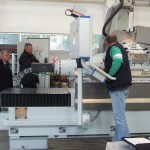 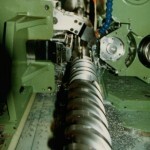 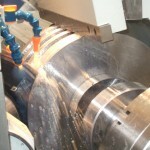 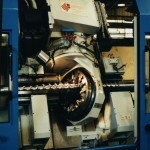 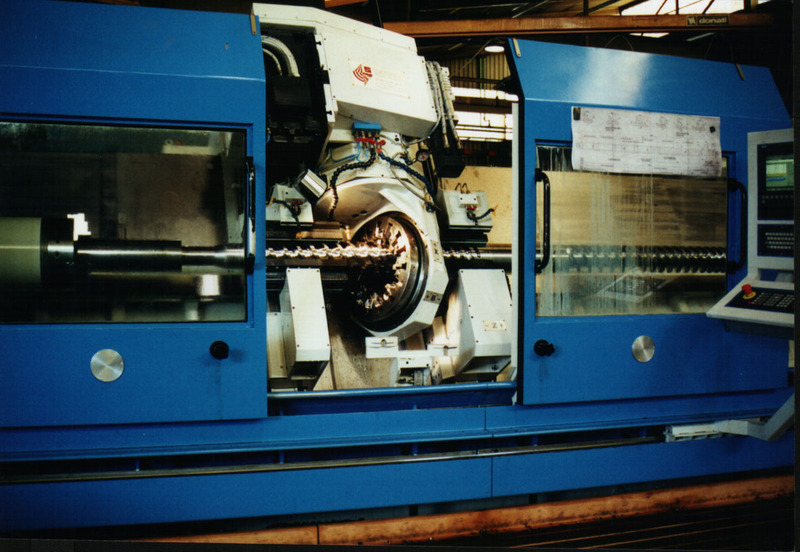 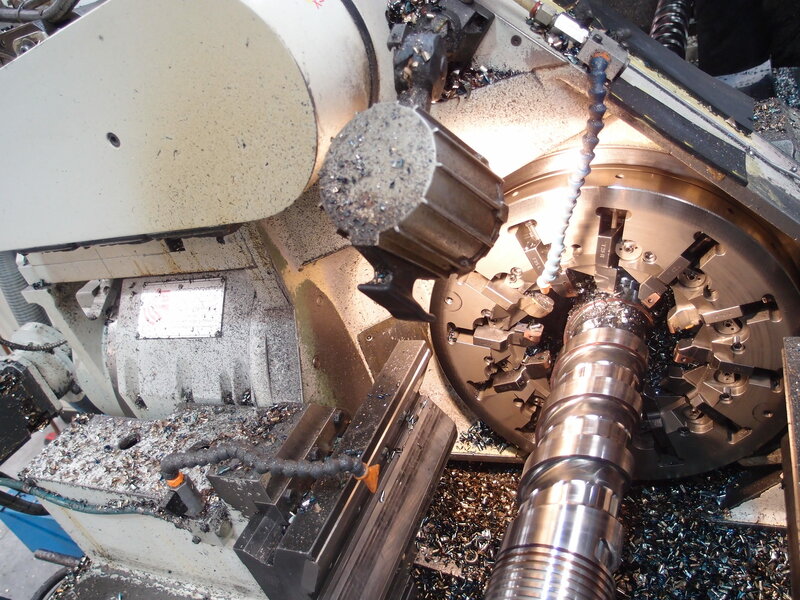 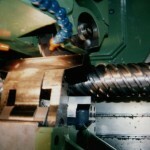 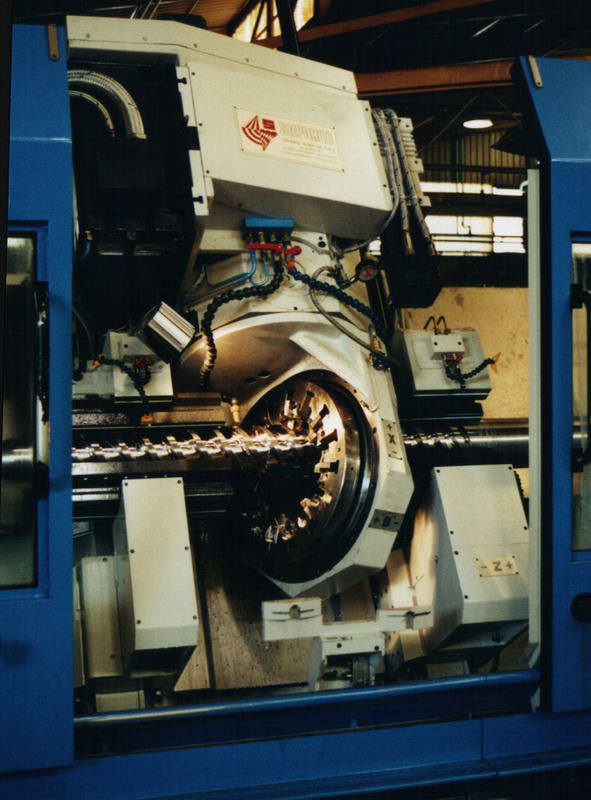 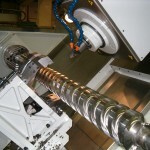 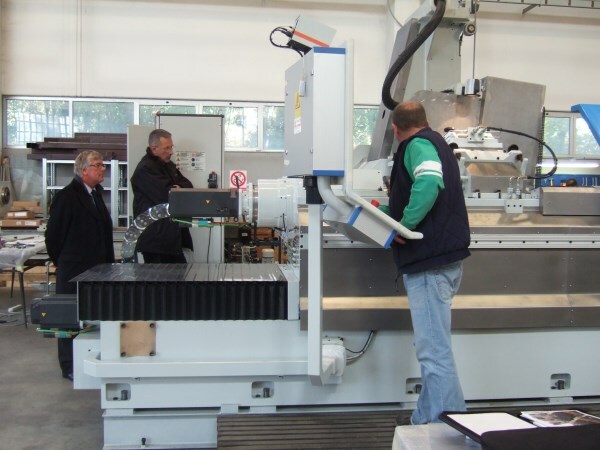 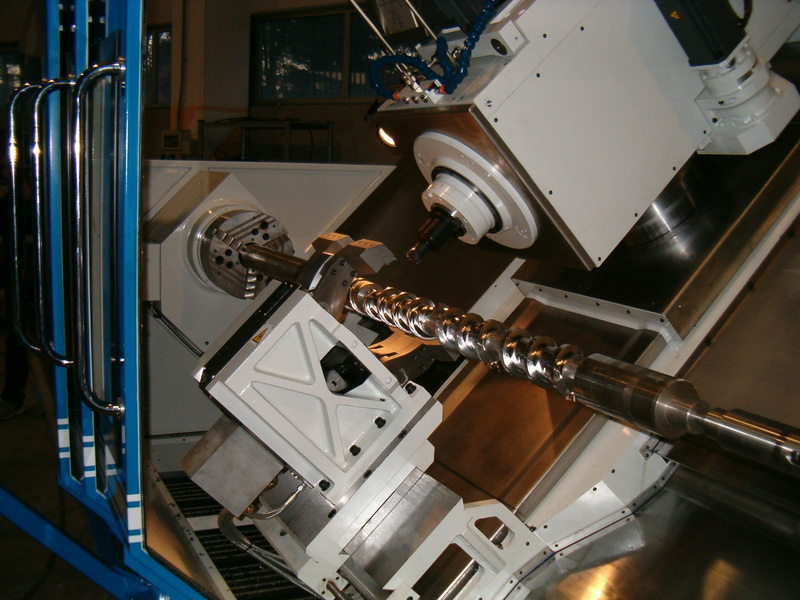 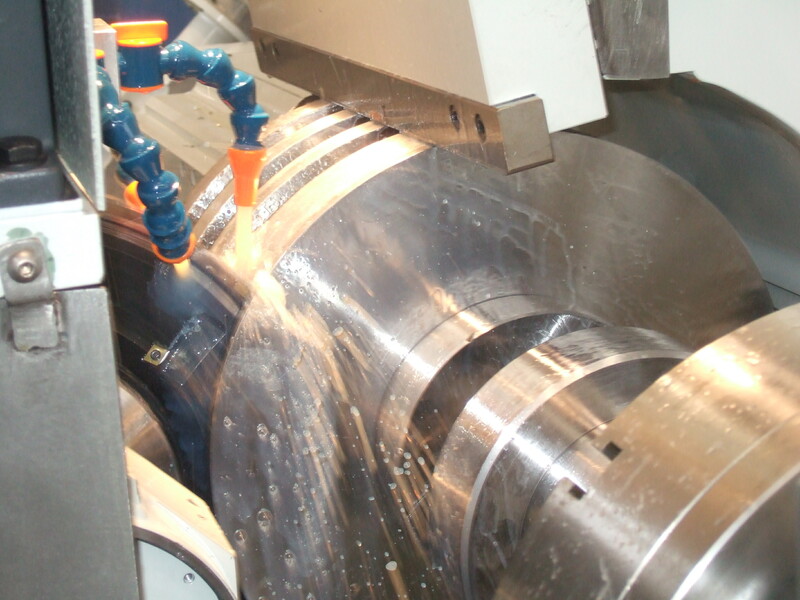 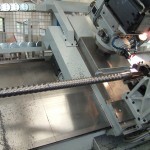 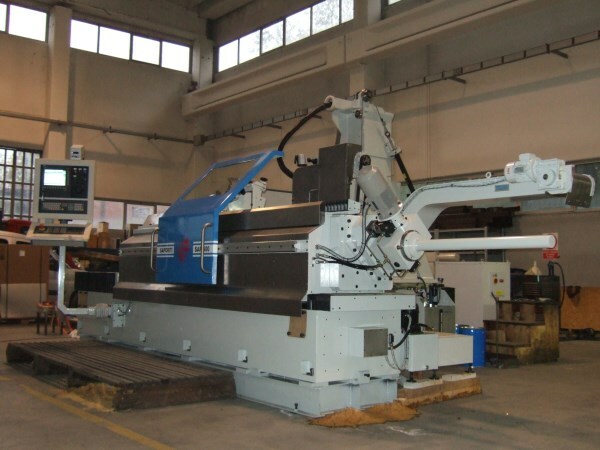 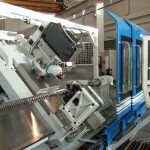 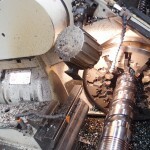 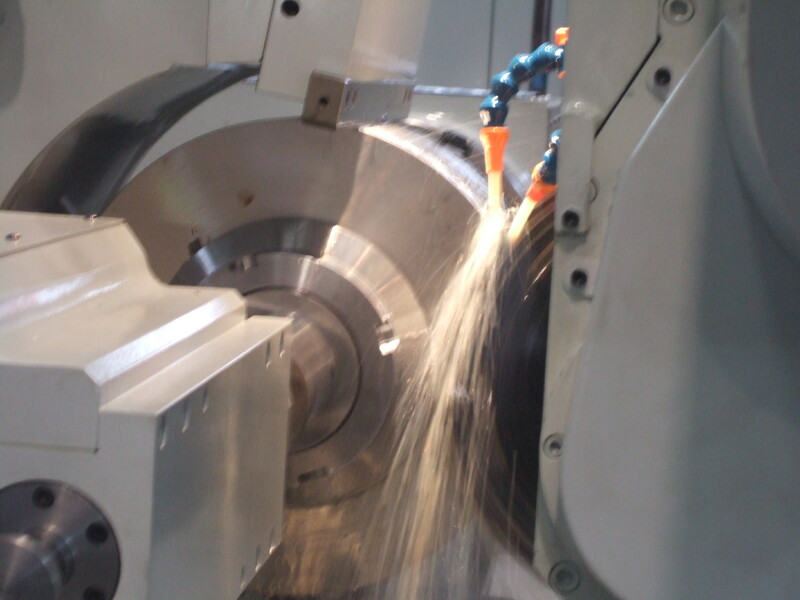 The machine works with disc milling cutters up to 440 mm diameter. 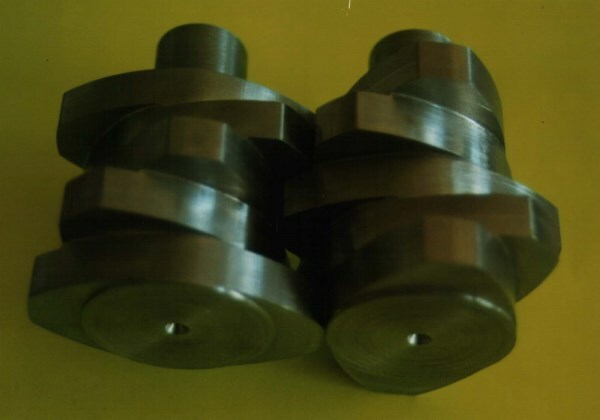 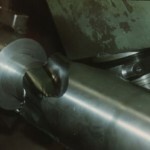 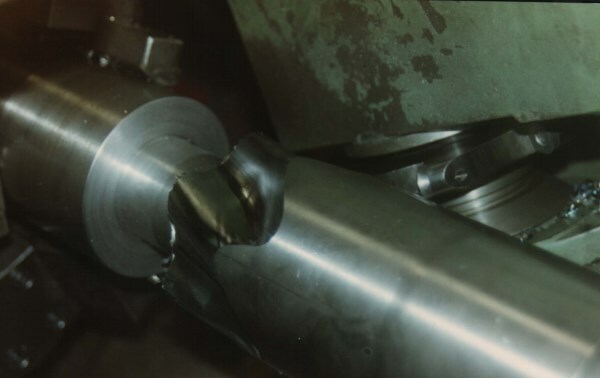 Extremely hard steels such as 17-4-PH (HRC 34-HB300) can be machined with pass depth of 80 mm. 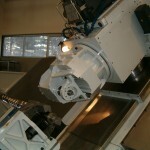 Maximum workable diameter: 500 mm, max. 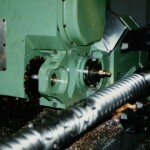 length: 1200 mm. 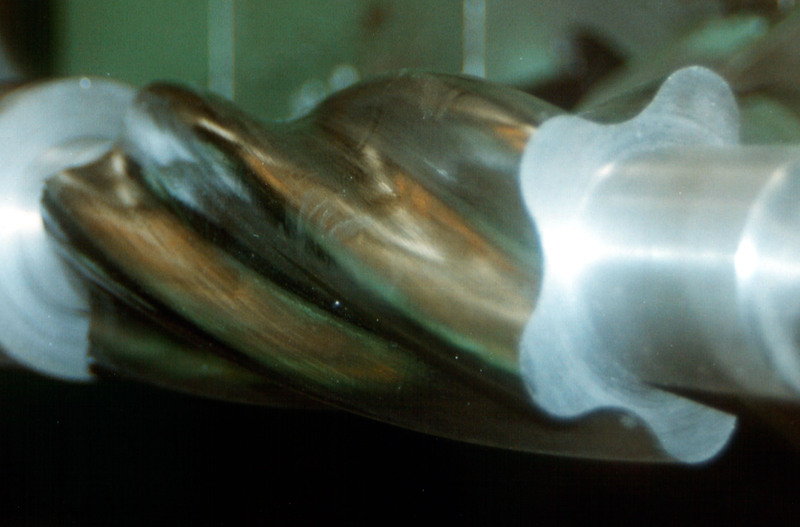 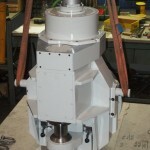 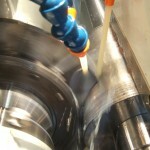 Milling head tilting: ± 50°. 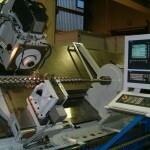 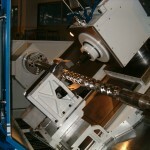 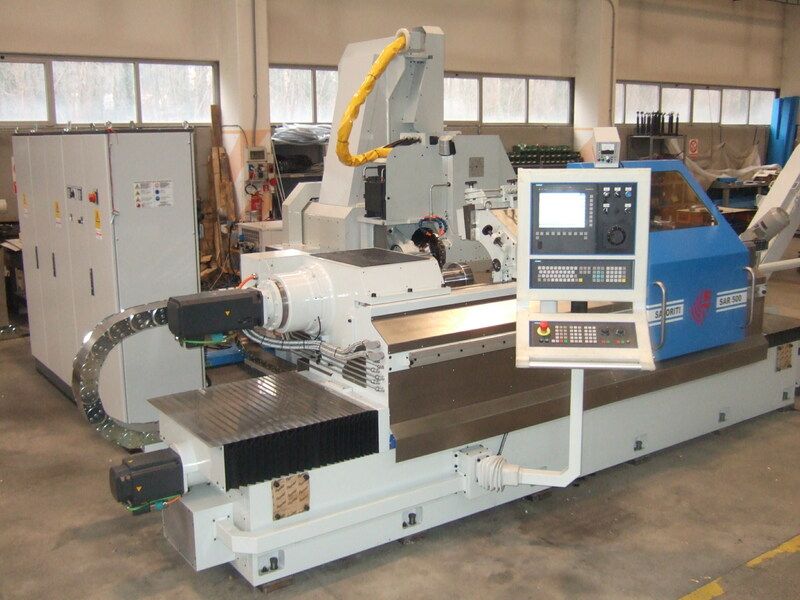 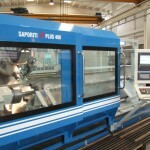 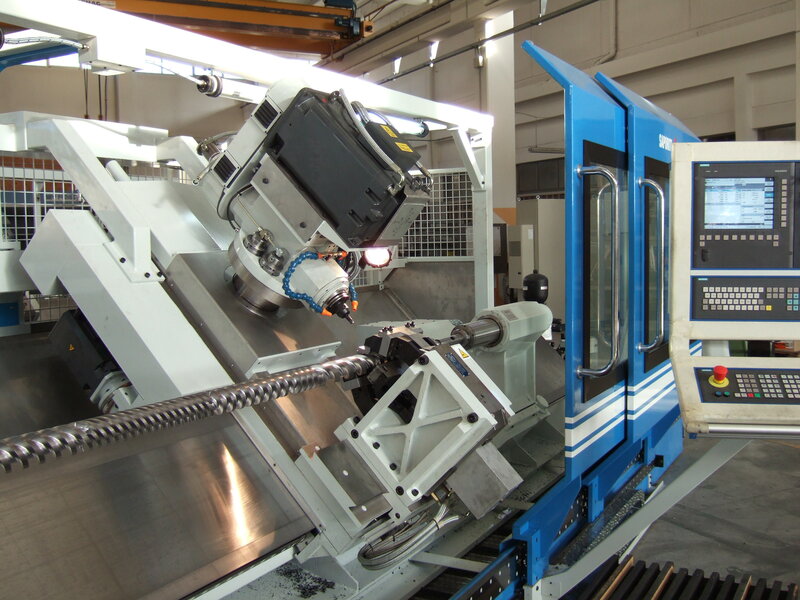 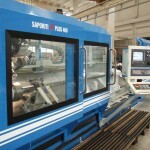 The machine is equipped with CNC Siemens 840D and motors with forced cooling. 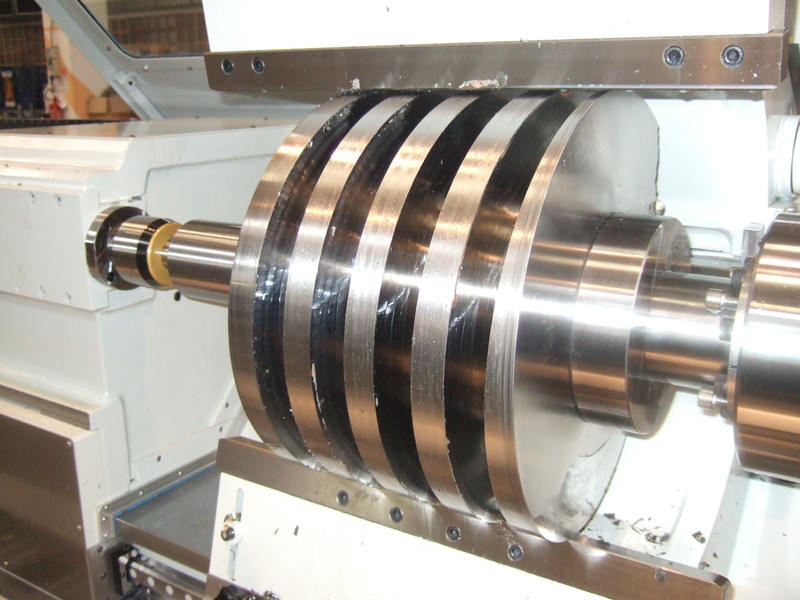 Linear axes run on precision roller bearings. 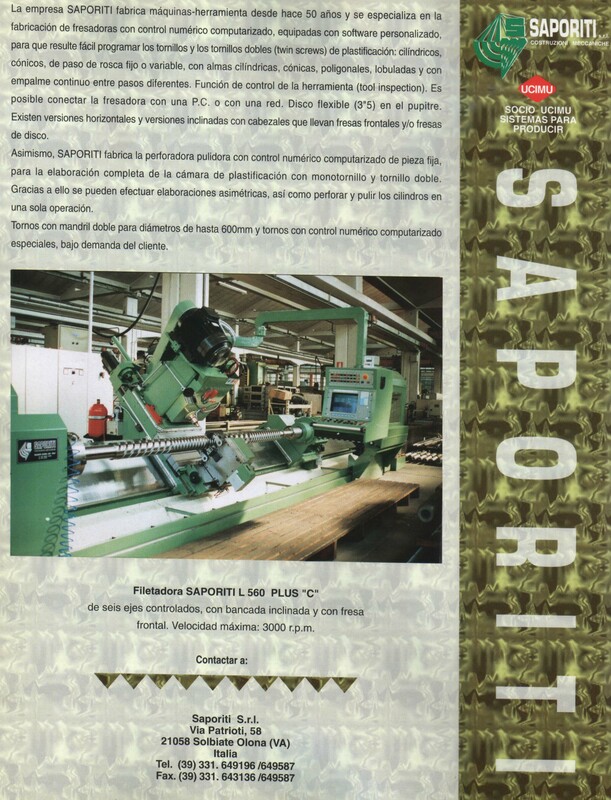 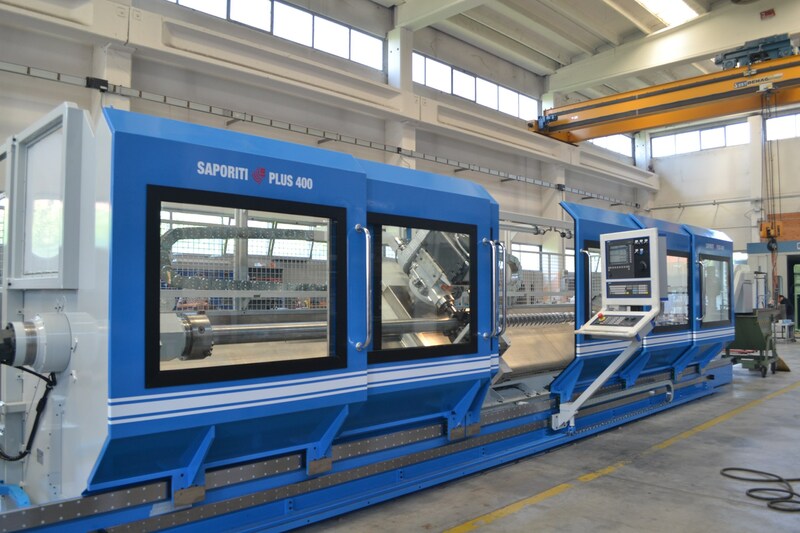 The noise, which is typical of machining with disc cutters, is cut down through a special device patented by SAPORITI srl. 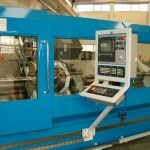 CNC threader machine with Horizontal or Iinclined bed and is suitable to work screws as per worm pumps. 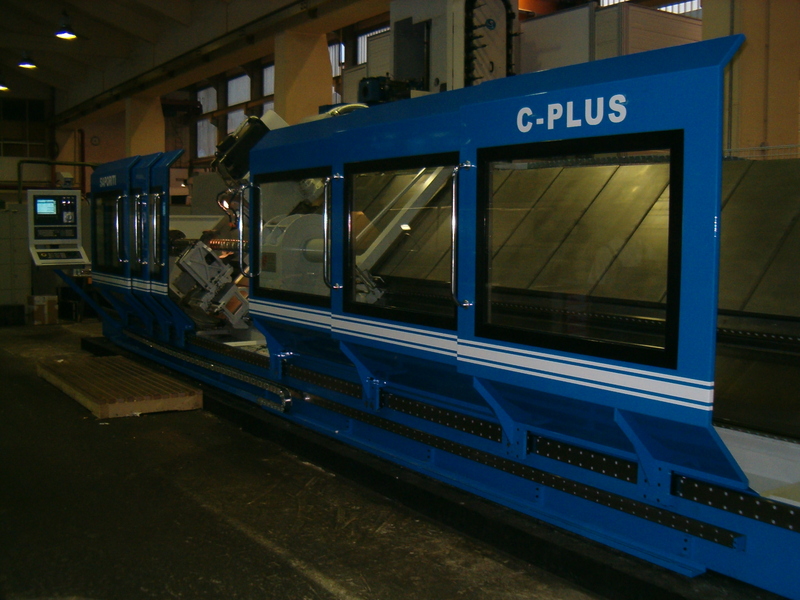 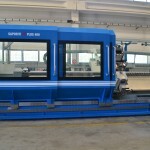 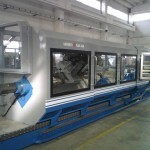 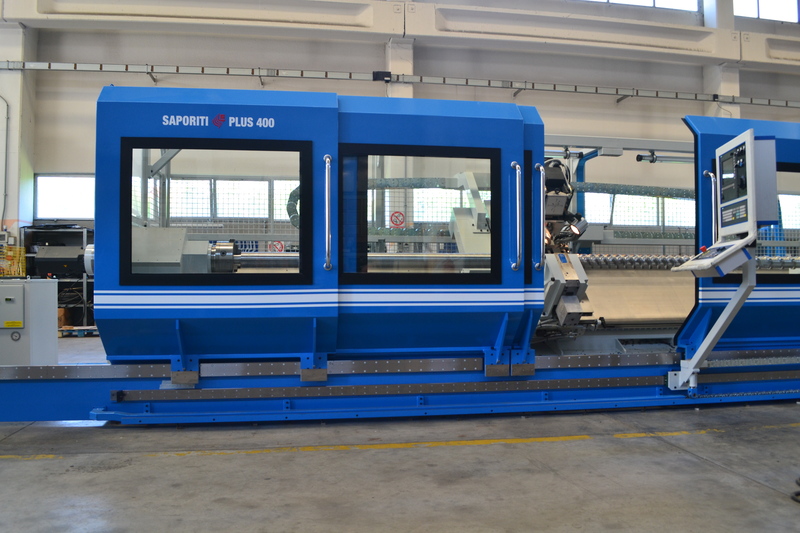 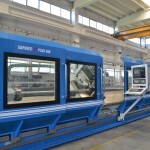 This model can be manufactured with a max working length of 9000 mm. 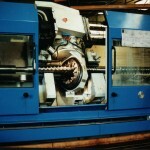 The whirling head has a bore passage of 270 mm. 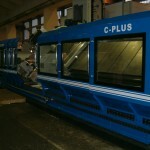 The bed is a rigid structure and the carriage moves on roller guideways. 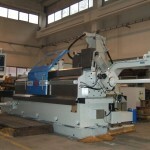 Hydraulic self centring restso hold the workpieces at the two sides of the head.